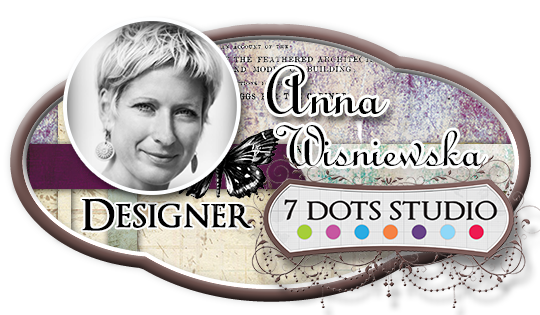 My name is Ania Wiśniewska – wiosanka. I live with my family in Poland, in a small village near the Baltic Sea. In scrapbooking I love to create layouts but I also like to express myself in smaller forms – cards, tags and altered art. I love to play with colors – my projects are often juicy, splashed, messy and full of emotions. I mostly create joyful projects – I think it’s because creating for me is a very joyful process. I love stamps, mixed media, paints and papers. 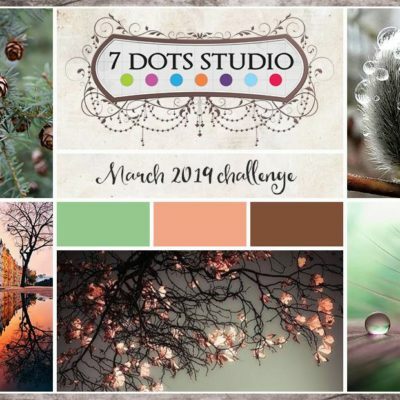 I’m absolutely thrilled and honored to be part of 7 Dots Studio Design Team!